In the 1990s, the Citrus Research Board gifted a Sunkist electronic fruit grading system to Lindcove REC, that greatly expanded our postharvest research capabilities. We recently upgraded the citrus fruit grading system at LREC with a Compac line, thanks to another generous gift from the Citrus Research Board. Dan Hostetler, Chair of the Plant Sciences and Technology Department at Cal Poly Pomona, heard that we were replacing the Sunkist line and contacted us to see if we could pass it on to his department. 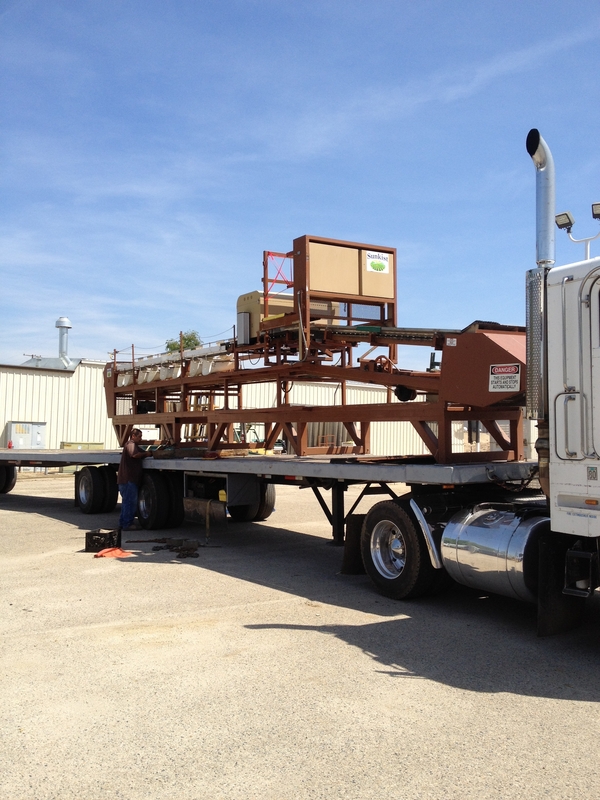 We are pleased to say that the Sunkist grader is on its way down to the Cal Poly Pomona campus where it will be used to train students in techniques of electronic grading and sorting of fruit. A wonderful collaboration between Universities and the citrus industry and a great use of this equipment! The unique partnership between the University of California and the Citrus Research Board continues with the building of a new greenhouse at the Lindcove Research and Extension Center. 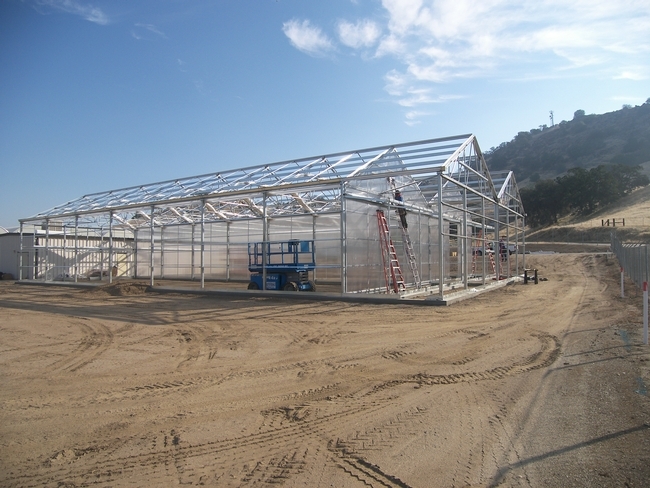 This greenhouse will house germplasm from the Citrus Clonal Protection Program, which is the basis for the disease-free budwood release program. Thank-you again to the citrus industry for this donation to Lindcove!